I started another Happy Flower english paper piecing project, this time with all Carolyn Friedlander fabric. The #the100dayproject happened to be starting on the same day, so I'm going to join in with this project. 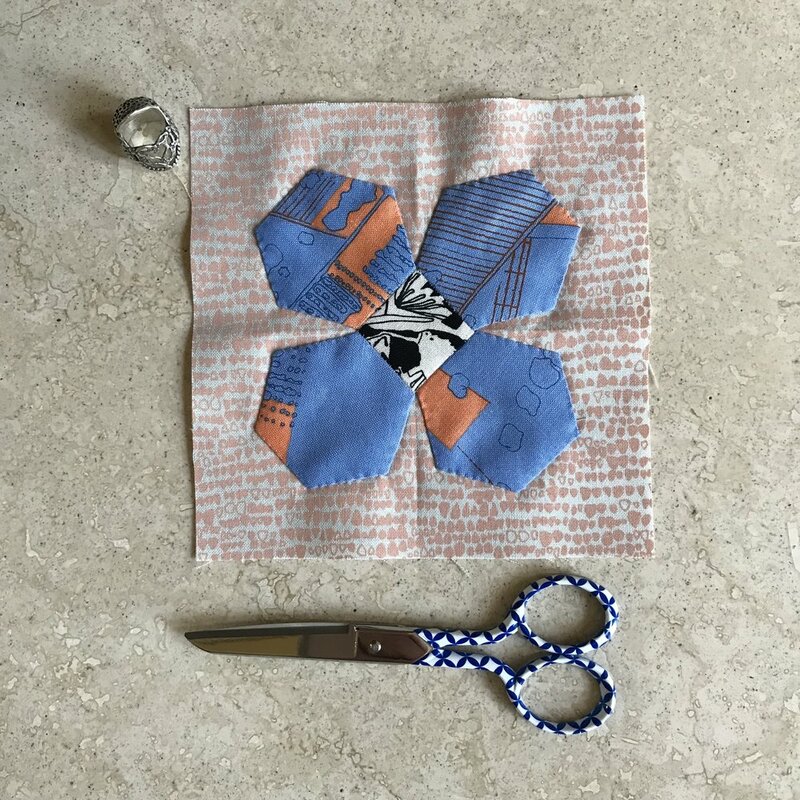 Although the project isn't exclusive to the quilting arts, it's interesting to see other IG quilters participating with their own 100 day project. I am not going to commit to a completed block each day (I tried that unsuccessfully once before!). Even if only one hexie is basted, I'll count that as progress. I won't post every day's progress here, but if you're on Instagram you can see them daily. Are you or have you ever participated in this type of challenge?